The kids are back in school, and hopefully things are settling into a routine. A busy, chaotic routine if you’re like my family, but a routine. And when it comes to getting good food into our family’s mouths during a busy year, organization is the name of the game. 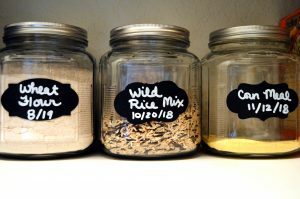 Last posts we discussed meal planning hacks and lunch packing tips, and since I continue to be in an organizey-back-to-school mood I have decided to go a step further and share 7 Pantry Organization Makeover Tips to organize your food supply, It will hopefully help save you time, keep your sanity, and maybe even step up your nutrition a bit! I want you to note the overall theme for this post is #keepinitreal. I am going to show you some pictures of my pantry, and contrary to popular belief, it is not stuffed with 100% pure “health food.” While it is definitely not a lot of junk either, I do have balance, and want to encourage you to do the same (I’ll explain more about that). It is also not a Pinterest perfect, magazine-worthy pantry with all the beautiful clear containers perfectly labeled and dated. Yes, that would be so awesome and pretty, but let’s face it, I have 2 kids under 5 and I do a little at a time. I do, however, have some helpful tips that might make meal prep a little less stressful. 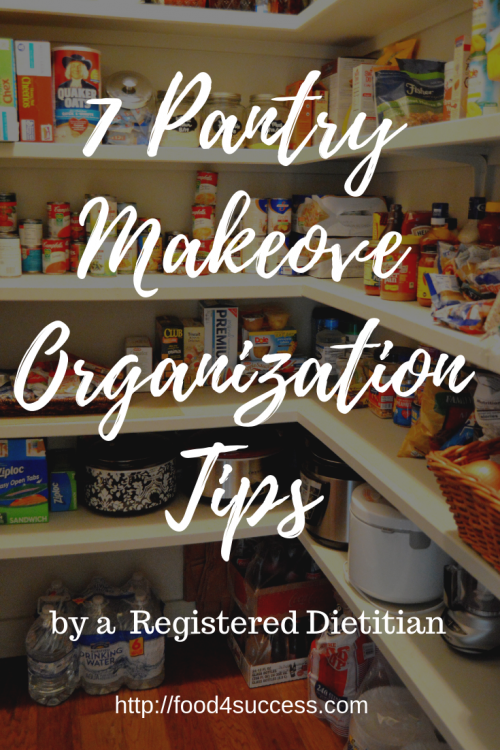 By organizing, getting rid of clutter, and having more healthy foods easily accessible, you will be more motivated to cook nutritiously, snack better, and easily check inventory for grocery list making. With just these 7 dietitian-approved tips, you will be a meal planning master. 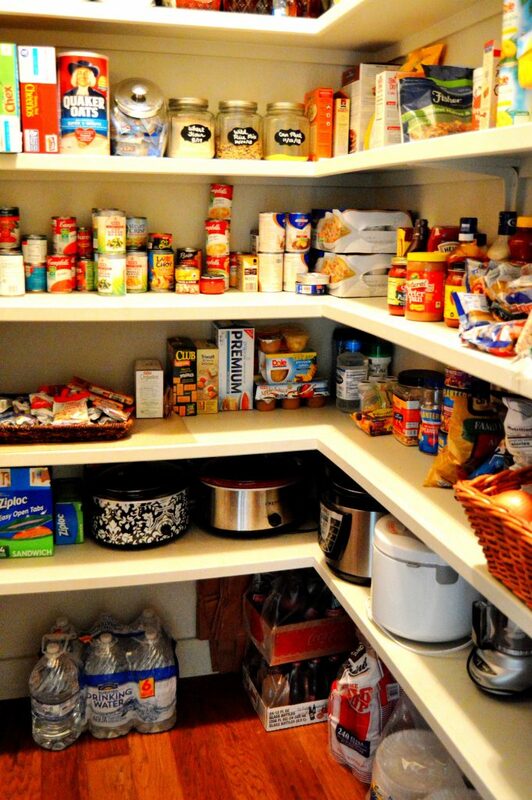 1) Stock your pantry with plenty of nutritious snacks, cereals, grains, canned goods, etc. Yes, this is one of the first steps in improving your diet, but this is also not to say that you should not have ANY “treats” in your pantry because that can easily backfire. If you feel deprived of those things you may end up wanting them more. Positioning products you want to eat more often within reach, and ones you want to eat less farther out of reach can help with balance. You may realize if they are not in the line of sight you may not think about them as often. 2) Organize using FIFO. It’s an old inventory trick, first in, first out. Products that will expire the soonest should be up front to make sure you use them first. Especially useful for canned products where we easily lose track of expiration dates over time. 3) Buy in bulk. If you have the space, consider buying the products you use the most in bulk to save you money and the hassle of buying it over and over in your routine grocery trips. For example, I can go through a lot of low sodium chicken broth, so buying a case saves a lot of hassle. Yay Costco. 4) Use sheet pans or trays to help with grouping. I have a bunch of the kids’ snacks on a large tray so they are organized, accessible, and set apart from the rest. 5) Make use of your space. Can organizers, lazy-Susan turn tables for spices, bulk bins, and mini shelves can do wonders in storage, and save you from foraging when meal time is approaching. 6) Versatile staples will save you. With a variety of rices, grains such as quinoa, beans, lentils, and pastas, the dinner possibilities are endless as they are a good base to any meal. Store them in clear glass containers and they are a naturally stunning accent to any pantry, just be sure to label and date. Toss in some protein and vegetables with them and you have a balanced, fiber-rich meal (grain bowls, stir-fries, the possibilities are endless). 7) Keep up with it weekly. Before you make that grocery list, do a quick tidy-up. Toss out unnecessary boxes to keep clutter to a minimum and allow you to better see what you got to work with. Don’t you hate it when you’ve bought 3 jars of the same thing just because you couldn’t see that I had it already, or missed something you were supposed to get because you thought you had already? With a beautifully organized pantry, you will want to use it more, cook more, and become a master meal planner. It also makes for a much more pleasant place to hide when you want to eat a full snack by yourself, when little hands who are actually clutching the exact same snack are after yours. Oh wait, is that just me?